Christmas is now but a distant memory. All your Christmas decorations are now safely packed up and tucked away for next year. You’re relieved to have the clutter put away but the house feels a bit bare, and cold. It’s now a new year and it’s certainly a cold one. 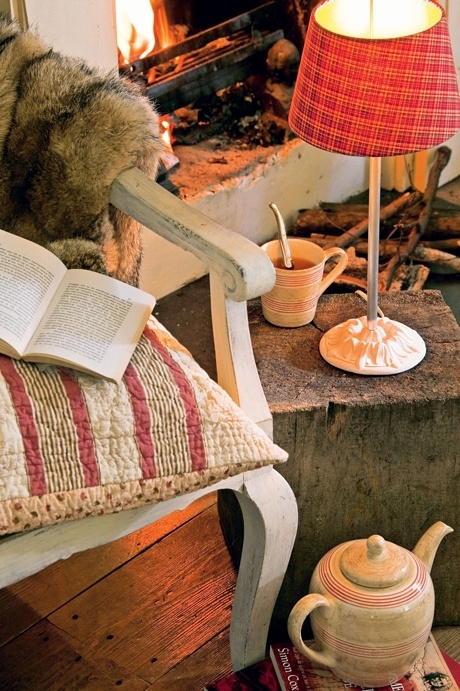 There are a few simple things you can do to add a nice winter ambiance and warmth to your home. 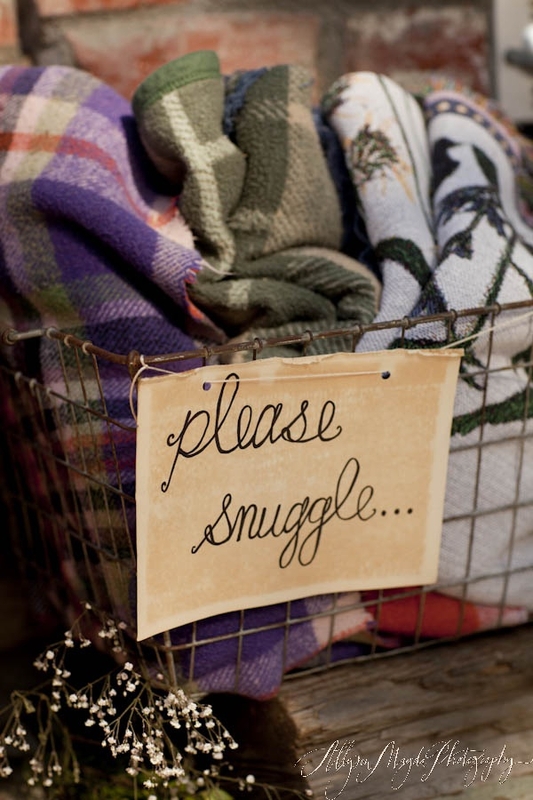 Add a basket of warm, knit, wool or plush blankets to your living room décor. Encourage guests and family members to wrap up and keep warm. We much prefer lighter weights and lighter colors and fabrics in the spring and summertime, even in the early fall. During the colder, darker winter months it seems to make sense to add some warm, comfortable textures to your living areas. 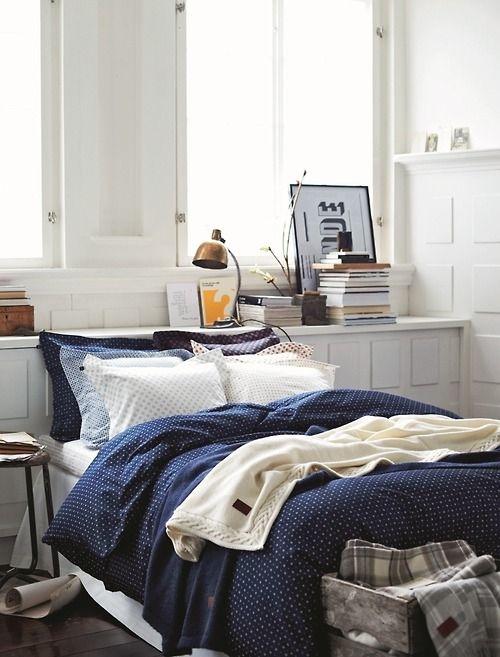 Replace or cover your pillows with velvet, corduroy, warm knits or faux furs. All these textures are widely popular and widely available. Nothing makes a home warmer and more inviting than a fireplace when it’s cold out – the heat, the sound of the crackling fire, the smell of the burning logs… it’s all so relaxing. Curl up by the fire with a good book or your favorite magazines. Pour yourself a cup of tea or hot coffee, settle in and relax! 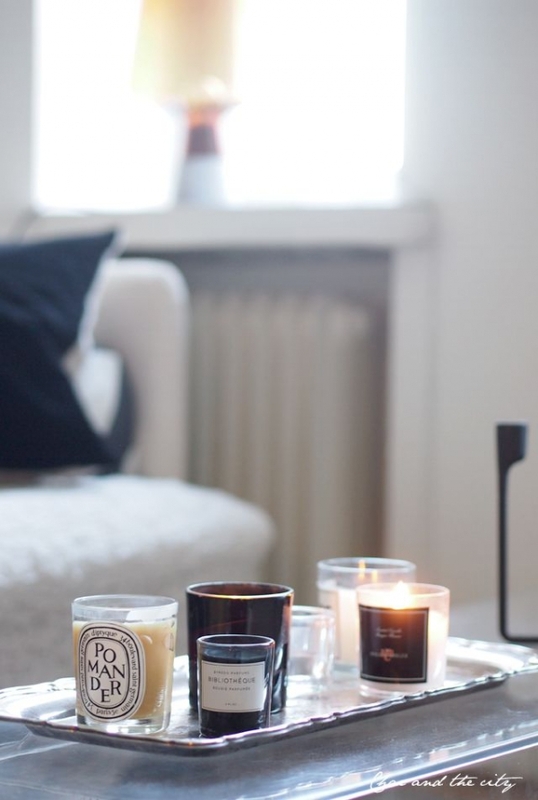 For those of us without fireplaces, candles can give off the same warm , comforting and soothing glow. Their warm light adds a tone to your room. Place white candles throughout your home, whether tea lights, candle sticks or votives – layer them for texture and drama. Who doesn’t dream of a bed by a fireplace? It’s so romantic! It’s the perfect fairytale bedroom! Light a fire and crawl in under the sheets. Put on your favorite movie or lose yourself in your favorite book, or bring your laptop with you or place a call to an old friend. There’s something nice about hearing a voice rather than texting all the time. So most of us don’t have the luxury of a warm fireplace in our bedrooms, but we all have warm and inviting beds. Have you tried flannel sheets or micro fleece sheets? They are heaven on earth! Warm blankets, fur throws and deep, heavy down duvets make it so getting out of bed in the morning is nearly impossible. On the weekends, when the wind is blowing so hard you can feel your house shake, there’s nothing better than just crawling in and taking a long winter’s nap! Place some fresh white tulips and a candle on your bedside table for a soft look. We’ve talked about blankets for warmth and coziness. But fur blankets and throws are not only warm and comfortable but they really dress up your space and give it an affordable elegance. 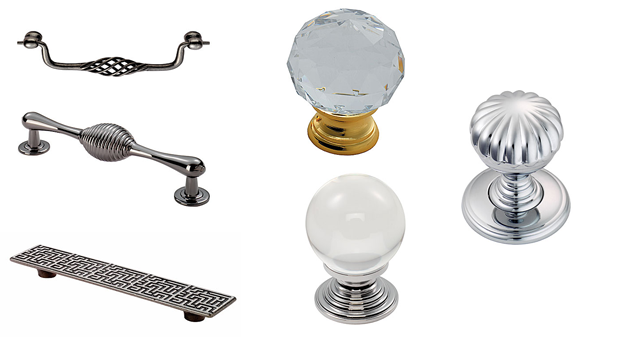 There are many styles and colors available through many retail outlets at very reasonable prices. Why not pick up a few? Toss one or two in your main living area and then select a couple for bedrooms. Just because all the Christmas décor has been put away, this doesn’t mean your home has to look bare and sparse. 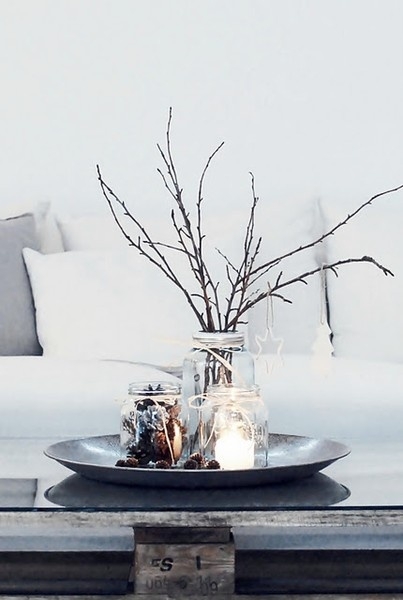 Branches in vases and jars, pinecones, twinkle lights and warm glowing candle add a perfect touch of winter to your home. Feeling crafty? Try spray painting your branches and pine cones in all white or in golden tones. 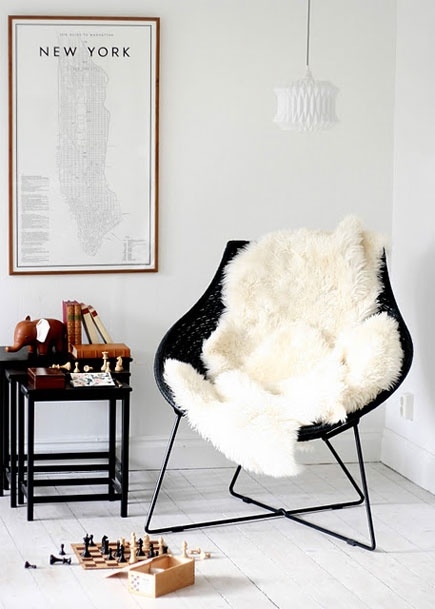 Sheepskin is another warm and affordably luxurious material you should have in your home. 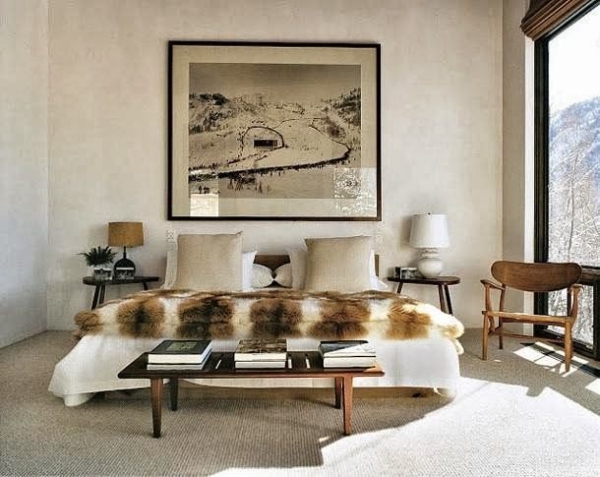 A sheepskin rug can add warmth to even the coldest of floors. How soft and comforting underfoot! 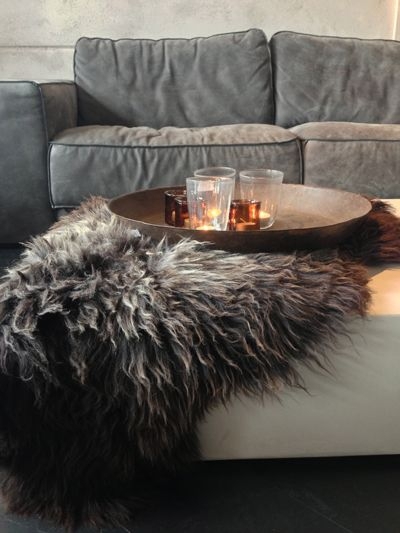 Layer it with other animal hides, jutes or other throw rugs that you enjoy. This not only adds warmth to your space but adds a nice visual texture. We are also noticing sheepskin on chairs. We love this trend! In the previous paragraph we talked about layering your rugs for softness, warmth and to add to your home’s existing décor, now let’s address layering your main seating areas, such as love seats and couches. 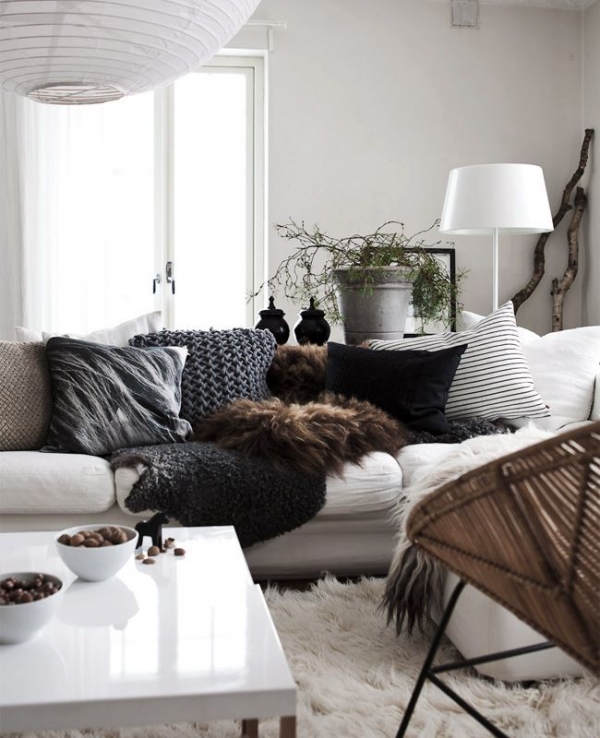 You can create visually inviting layers of warmth and texture by adding different materials through pillows, throws and perhaps even covering your couch in a heavier, darker slipcover that is not only visually appealing but also inviting.